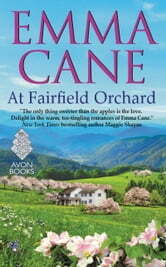 Emma Cane welcomes you to Fairfield Orchard, where new love blooms and romance is always in season. For Amy Fairfield, the family orchard is more than a business. With its blossom-scented air and rows of trees framed by the majestic Blue Ridge Mountains, it’s her heritage and her future. But right now, it’s also a headache. 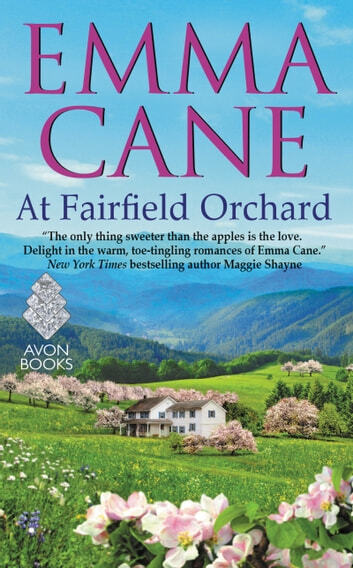 Putting a painful breakup behind her, Amy has come home to help revitalize Fairfield Orchard. She doesn’t have time for the handsome—distracting—professor who wants to dig into her family’s history for his research. Jonathan Gebhart knows he needs the Fairfields’ cooperation to make his new book a success. As for Amy—nothing in his years of academia could have prepared him for their sudden and intense attraction. He doesn’t want to complicate her life further, especially since she seems uneasy about his poking around in the past and he knows he’s not the sort of man built for forever. But some sparks can’t help but grow, and Jonathan and Amy may just learn that unexpected love can be the sweetest of all.